You generally don't want to tick off a god. And of all the gods, Lolth the Demon Queen of Spiders, goddess of the drow, is most obvious when displaying her displeasure. Any drow who fail to live up to the harsh standards of their cruel society are at the very real risk of being transformed into spidery monstrosities. The form of the Shunned is reserved exclusively for female drow. They are transformed into bulging malformed heads covered in twitching, spider-filled tumours, scuttling on insectile legs. 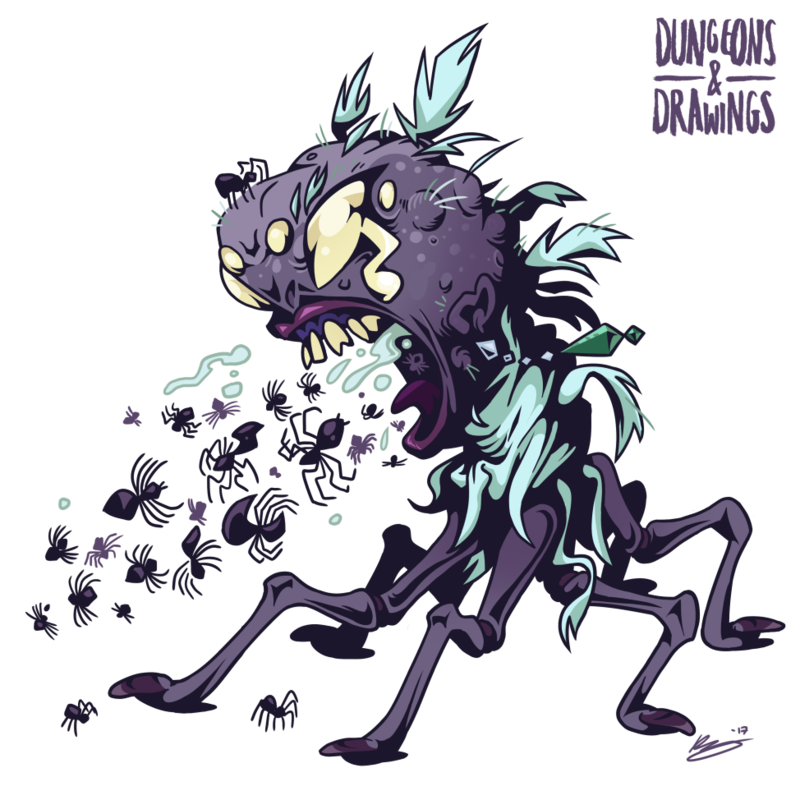 The Shunned are forced to disgorge swarms of spiders as the population builds up inside their throats. All creatures cursed by Lolth are pathetic, but the Shunned endure the most mental suffering. Despite their new form, madness and subsequent exile from drow population centres, the Shunned continue to crave the forgiveness of their goddess. The lair of a Shunned is generally located as close to their former homes as possible, and is decorated with pieces of discarded furniture and clothing as they try to hold on to a semblance of their lost lives. This is totally not the head monster from The Thing you guys. This one spits spiders. Totally different, yo.